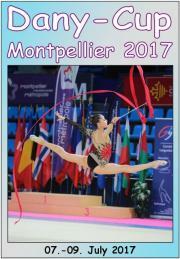 The DVDs of Dany-Cup Montpellier 2017 contain the complete competition of all categories. Also the Opening & Medal Ceremonies, Gala-Show and some Podium-Training have been filmed and are on the DVDs. Pre-Junior A+B incl. Medal Ceremony.